Arshad Warsi feels sad for people "who have fooled their way into the job" with a team behind them, "spending crores to make them look good and talented." Arshad Warsi will be next seen in film Irada. 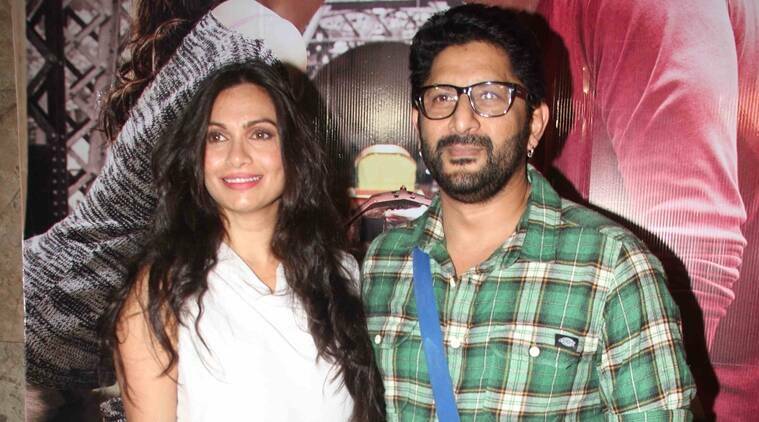 He made a successful debut with Tere Mere Sapne, but actor Arshad Warsi says to post the film he was jobless for nearly three years until films like Seher and Munna Bhai MBBS came his way. The actor, who went on to star in critically acclaimed films like Waisa Bhi Hota Hai, Ishqiya, and Jolly LLB, said he could come so far in his career as wife Maria Goretti was a constant support during the low phase. “After my first film, everybody said ‘damn good’. But when the next two-three (films) died, it was done and I was left with no job. Till I did Waisa Bhi Hota Hai, Seher and then, of course, Munna Bhai. “I was jobless for three years. Luckily Maria (wife) had a job, so we were fine, the bills were being paid. But for three years I had absolutely no films. I did odd jobs, but I did no films,” Arshad told PTI. “One movie, two movies, three and then people will realize this guy has zero talent. Those are the people who need to worry. I was never worried. I did my first film and I thought it was a cakewalk. I felt I could do it.” It was the Rajkumar Hirani-directed film which became a runaway hit and gave Arshad’s career a needed push. “If you look at the character in the film, there is no importance to it, in the sense that he is just a goon. There are five goons behind Sanju, he is one of them who has two lines more than the rest. But, if you have talent and know your job, people will see it. If I didn’t know the job, I would’ve done that film and would’ve been forgotten. Nobody would know, as there were five others with me. Even Makrand Deshpande rejected the film,” he says. Like he was hopeful during the testing times, Arshad has pined hopes on his latest Irada, touted as Bollywood’s first ecological thriller. The film brings him back with actor Naseeruddin Shah, with whom he has previously worked in the Ishqiya series. The Aparnaa Singh directed movie releases on February 17.